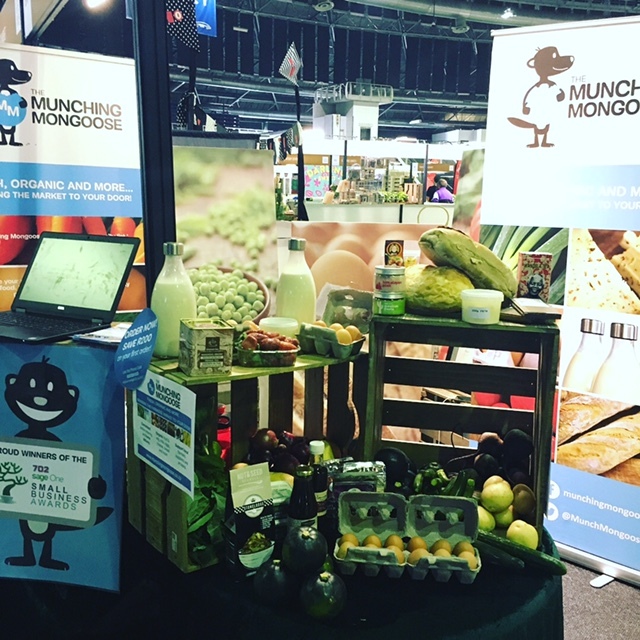 You might have seen The Munching Mongoose at The Good Food and Wine Show this past weekend, and what a weekend it was! We met some new faces (Welcome to our Mongaggle!) and spent time with some amazing local artisans, suppliers and makers of wonderful and delicious things. 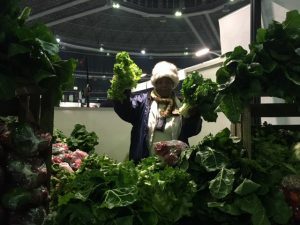 We were there in partnership with Khula, and the farmers and artisans from the Soweto Farmers’ Market. We always love the opportunity to spend time with the amazing farmers who supply our boxes with organic, delicious fruit and veg! Khula helps farmers find a market for their goods. Meet Julie, a local farmer who supplies us with fresh veggies for our boxes. We were also lucky enough to see some of the best chefs cooking up a storm, from local favourites like Sarah Graham and J’Something, to world renowned chef Marco Pierre White. And what a joy to see our very own Michelin Man, Jan Hendrik van der Westhuizen, the first South African chef to receive a Michelin star, for his restaurant JAN, in Nice, South of France. From humble beginnings, his love of cooking comes from time spent in the kitchen with his mother and grandmother, in Mpumalanga. We loved watching him cook, and felt inspired by his incredible journey. We tasted all sorts of delicious goodies, from chocolates and popcorn, to olives and cured meats, from all sorts of amazing people! We’d like to highlight 3 local artisans who we think are doing things a little differently, keeping it local and creating natural, delicious products worth getting excited about! Champagne Valley Stonemill is a family run farm, mill and bakery in the Drakensberg. They grow non-GMO wheat, using natural and environmental-friendly farming methods, and mill it to produce healthy, good-for-you flour. Champagne Valley stoneground flour contains all the natural vitamins, minerals and goodness from the plant, with no added preservatives or bleach. Not only is it better for you, and better for our world, but it’s also tastier, giving bread a better aroma and flavour. One of our regular bakers, The Baker Brothers, uses Champagne Valley stoneground flour in their breads, and we agree – they’re darn delicious! Jules and her range of organic pestos and condiments had us weak at the knees – they were just that delicious! Jules, owner and chef, is incredibly passionate about her products, and hopes to encourage others to lead a more sustainable life. Based in the Cape, The Real Food Factory supports local, organic and sustainable farms. Keep an eye out, you may have the chance to taste some of this local artisan’s heavenly goodies in the near future! You’re drawn in by the beautiful packaging, but this gin is more than just a pretty face, and it’s the taste that has you sold! 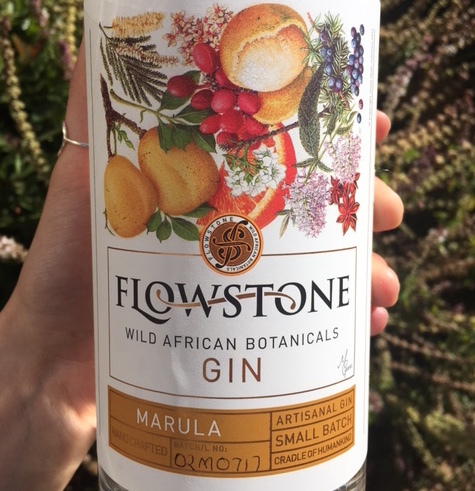 Locally made, in the Cradle of Humankind, Flowstone Gin started out of a passion for our beautiful country, and, of course, a delicious G&T. Made using natural, local botanicals, their range of gins captures the essence of the African bush. Naturally, we had to try them all, but our favourite was the Marula, which had us dreaming of a sunset game drive somewhere in Africa. What a fantastic weekend it was, and thanks to all involved! We hope to be back next year!